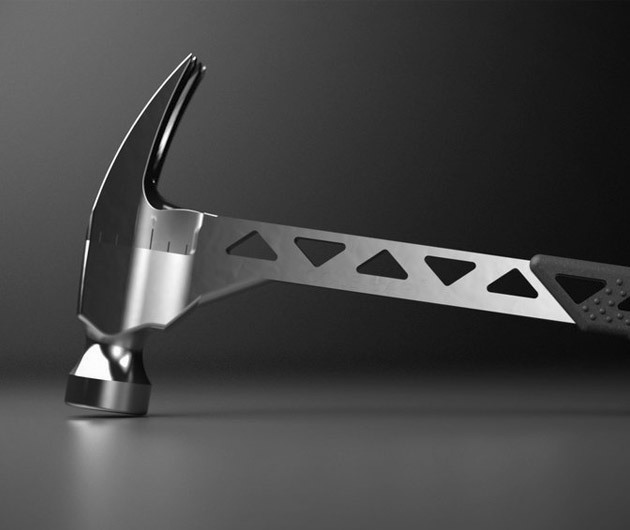 If the Swiss Army made hammers, then this is what they would look like. The Cole-Bar Hammer moonlights as a crow bar, demolition tool, angle measurer, ruler, socket wrench and pliers. It sports a locking gear mechanism that allows it to be extended 180 degrees and can even be split in half and used as two separate tools. Forged from carbon steel with electro-plating meaning that its even tougher than nails.